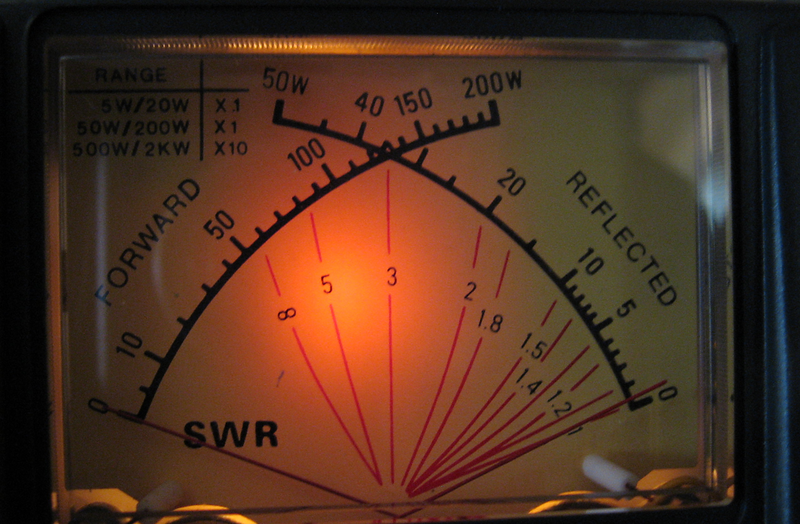 I came across this cross-needle SWR/Wattmeter online. The build quality is pretty good considering the price point (45 bucks shipped) and it's housed in a metal cabinet with plastic face and 3" diagonal meter. 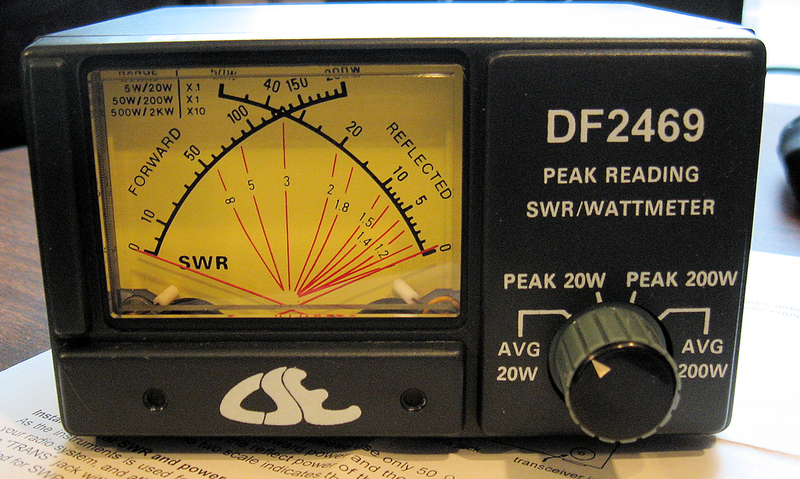 It should come in handy around the shack and I like the large, easy to read, cross-needle meters. 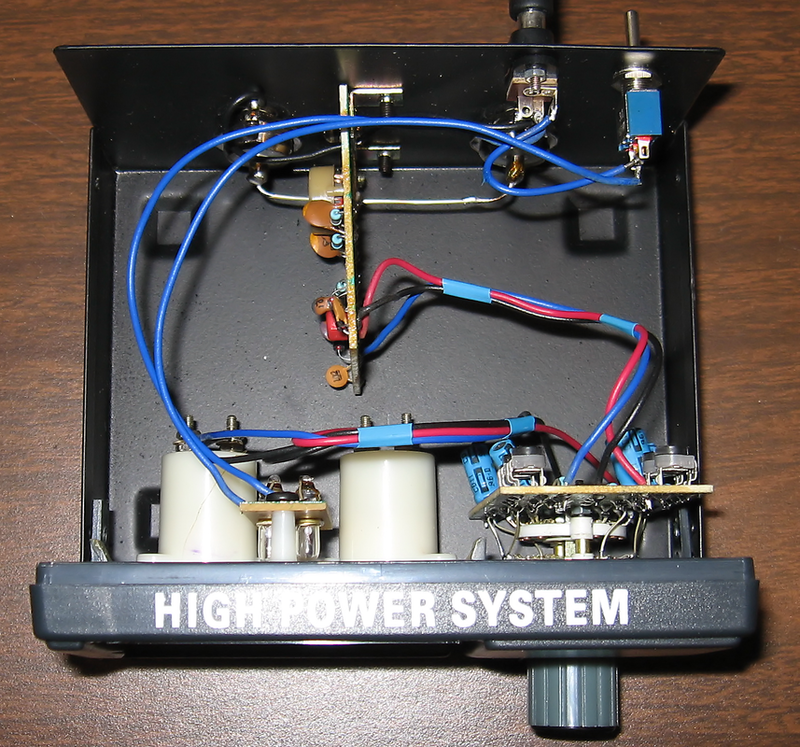 It has two power ranges, 20 and 200 Watts, reads both average and peak power, and has a frequency range of 1.8 - 60MHz. The only adjustment I had to make out of the box was setting the reflected power needle to zero. 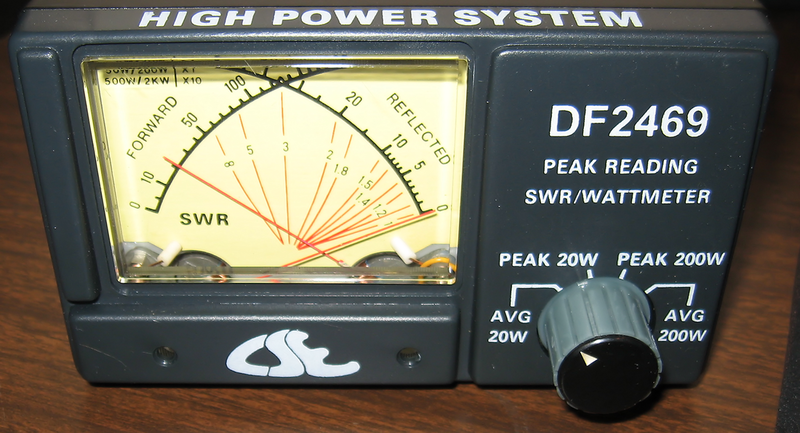 The 20-watt scale should work well with my QRP rigs which is primarily why I purchased it. 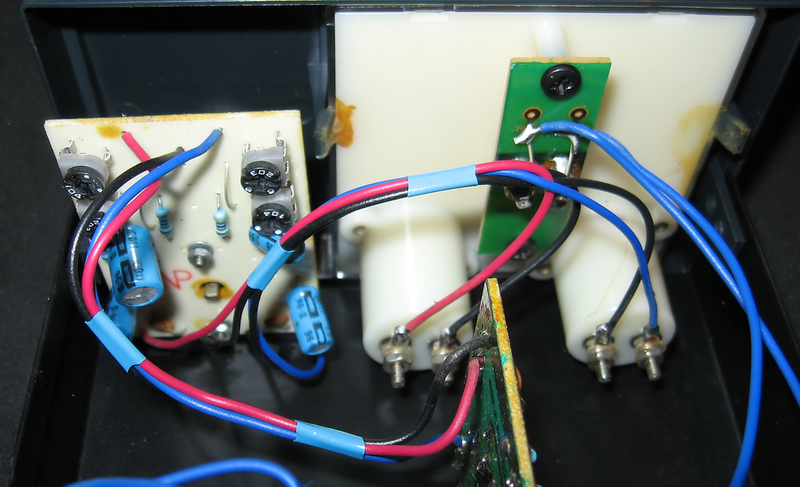 Inside the meter are two primary PCBs: one for sampling the RF and the other, on the back of the range switch, has capacitors for the Peak ranges and trimmers for calibration. 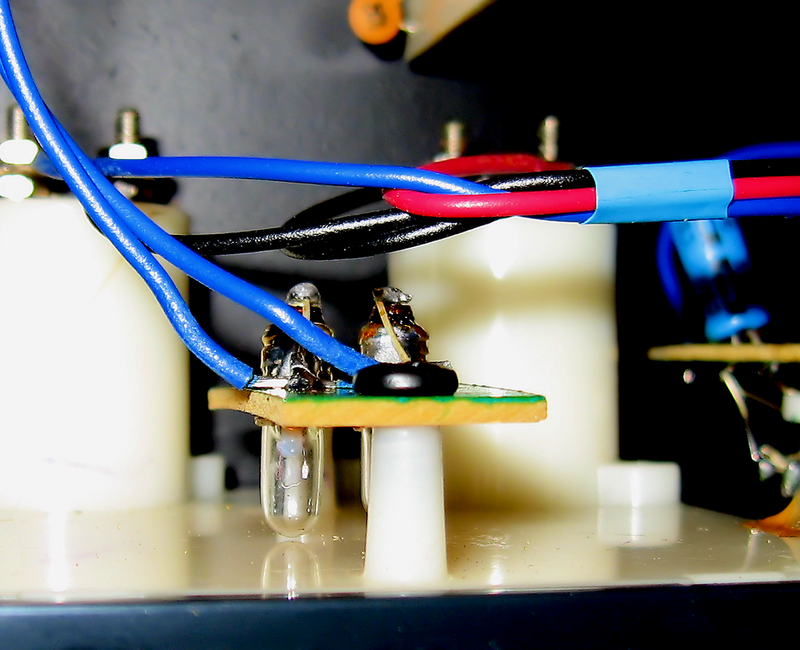 There's a third small PCB with just two incandescent lamps mounted to the back of the meter. They're wired to an On/Off switch on the back panel which in turn wires to a 12VDC input jack. The 12VDC is only used for the lamps. I can't believe they didn't use LEDs. 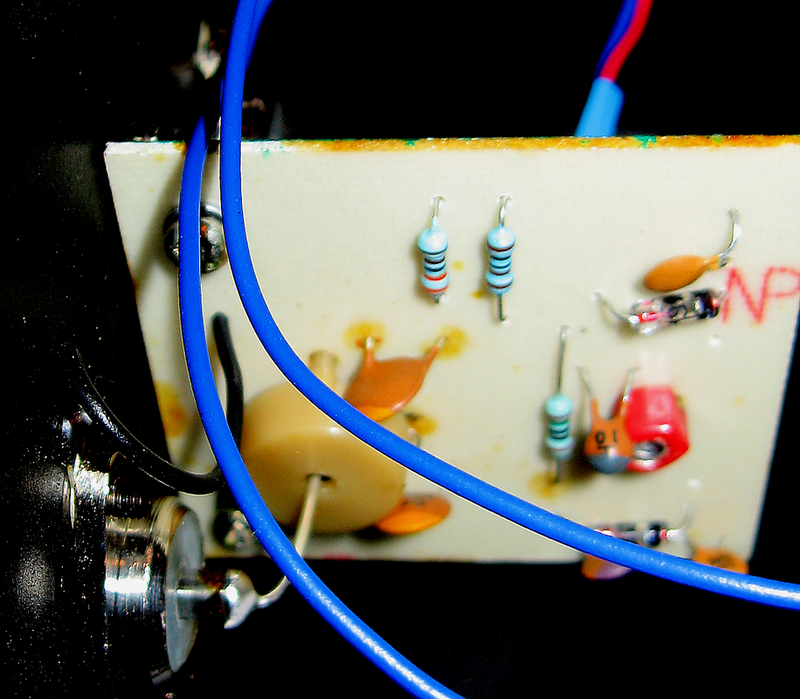 The RF board has a small toroid and a couple of 1N34A diodes in the circuit. A view of the PCB on the range switch and the back of the meter with the lamp PCB running down the center. Something begging to be modified on this meter are the lamps for back-lighting the movement. The incandescent lamps are right up against the meter's back, creating a bright orange spot on the face. I'm not sure if the bulbs would ever get hot enough to discolor the meter, but I replaced them with two LEDs and a voltage dropping resistor all the same. The LEDS mount in the same holes as the bulbs, but are shorter so they don't touch the back of the movement. And I placed a white diffuser (a piece of packing wrap) between the LEDS and meter to soften the bright spot and spread the light better. A quick check on 80-meters with my FT-817 at 2.5-watts output reads right on the money on the 20-watt range (the camera angle makes the needle look like it's reading a little low). Checks at 5-watts were also accurate. I'll cover the useless and annoying words "High Power System" with a property label or something.